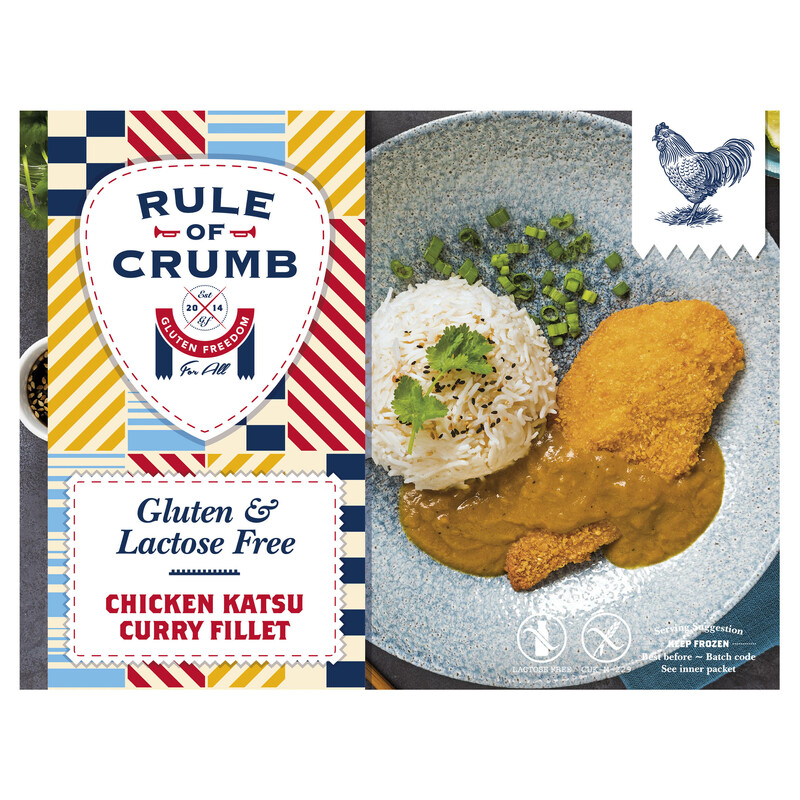 Our retail packet contains 2 large chicken breast fillet escalopes plus a sachet of Katsu curry sauce - enabling you to make this great tasting Kastus curry dish. Enjoy the chicken bresat fillets ( full fillet - not processed, not chopped or shaped and no added water), plus the sauce is free from all allergens except Soya sauce. The overall dish is gluten free and dairy free. This product is sold frozen. Puree, Turmeric, Sea Salt, Paprika, Black Pepper. 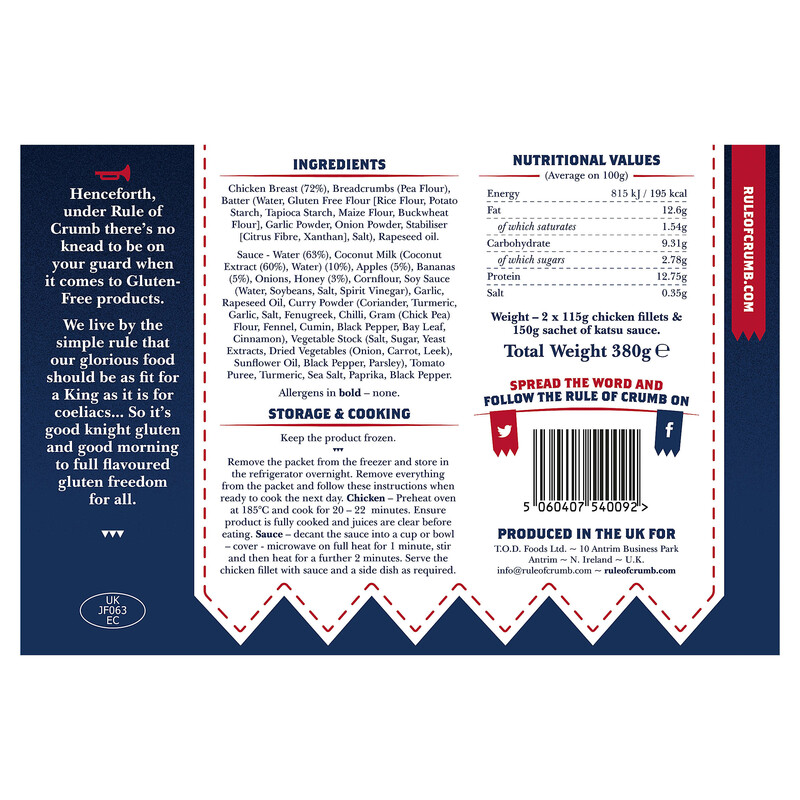 Allergens in bold – Contains soya.